She's a vigilante assassin. He's a Special Forces vet running a humanitarian group. Their white-hot passion can change the world-if it doesn't destroy them first. Sandesh Ross just wants peace. He left Special Forces to found a humanitarian group to aid war-torn countries. But saving the world isn't cheap. Enter Parish Industries and limitless funding, with one catch--their hot, prickly 'PR specialist', Justice Parish. Their chemistry is instant and off-the-charts. 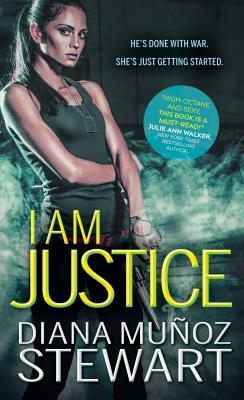 But when Justice is injured and her cover blown, Sandesh has to figure out if he can reconcile their missions. With danger dogging their every move, their white-hot passion can change the world--if it doesn't destroy them first.